Castlemorton Parish Council was one of the most progressive in the county in securing land for smallholders to rent to grow their own food. It was 102 acres in Broomy Hill, rented from the Somers family. Below is a newspaper article. David Smallwood has found the location of Broomy Hill, just below Dales Hall. Unlike the traditional allotment the land was apportioned as smallholding. 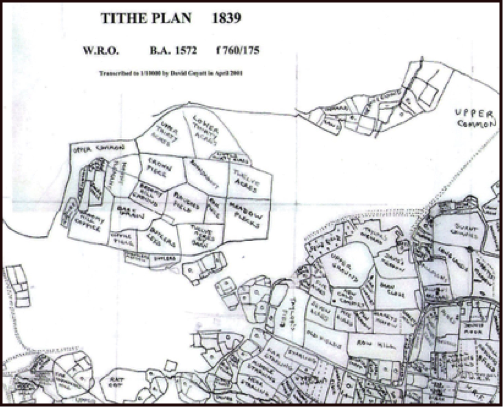 Though some were subdivided and rented as ‘allotment’ plots. Most contemporary residents in Castlemorton, Birtsmorton and Hollybush now have fairly large gardens. Many have plots that exceed their needs, labours, or gardening ambitions. The demand for land to support and feed families reflects the population at that time the poor distribution network for food. The poverty and hand to mouth existence. Also many cottages do not have fertile land that is suitable for growing vegetables and food. 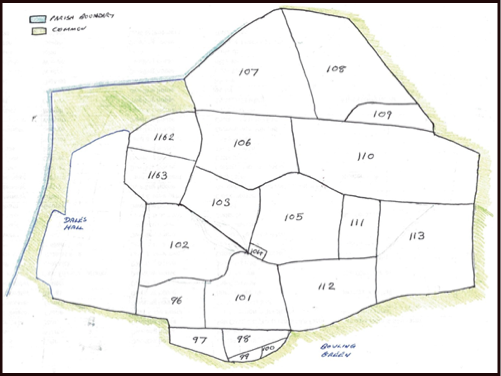 It is evident from some lines we have received from Castlemorton, where the Parish Council, with Lady Henry Somerset's help, have been enabled to let out a large area of land in small holdings. Our correspondent, Mr. Ball, gives an encouraging account of the progress made. He says: "Considering the condition of the land, the men have effected great improvement this year, and there is no doubt that time goes on the allotments here will be a great boon. Ours are let lots of from 1/2 an acre to eight acres, and there are many more acres required before all those who want land are supplied. 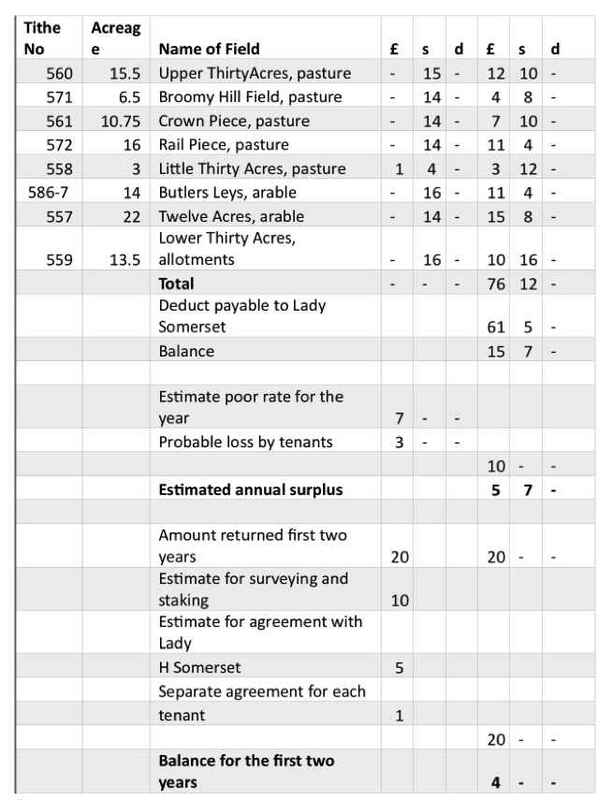 We have a number of applicants from Holly Bush, two miles from Eastnor Castle, and as the land is an outlying portion of a farm, I trust Lady Henry will see her way to granting enough to allow few acres to each." And view the landscape o'er. That let these lands to the poor. Will turn it o'er and o'er. Shall bless Lady Henry's name. Two fields, 112 & 113 were retained by Richard Greenway. Three fields, 1162, 1163 & 102 went to J Colston. Four fields, 97,98, 99 & 100 went to Clutterbuck. Field 108 was turned in to allotments. This is close to the 102 acres offered by Lady Somers that it is likely that this is almost the same as the area defined by the map. 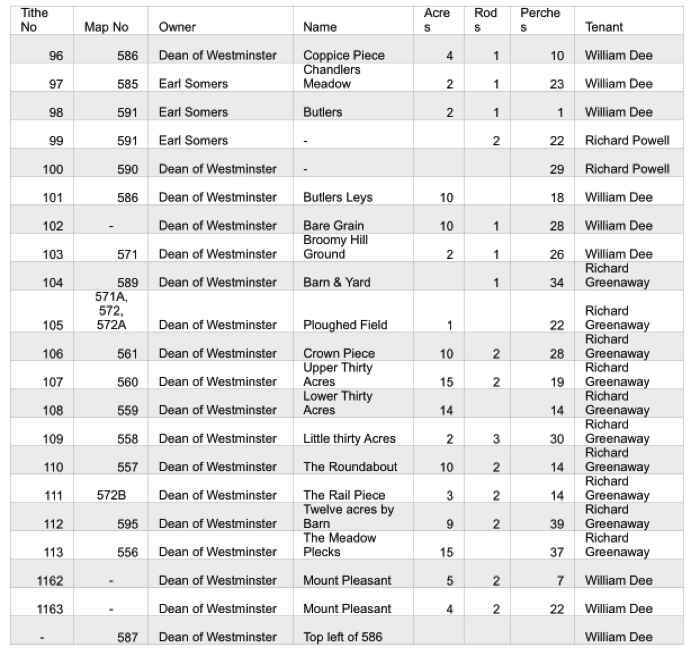 Presumably, by 1895 the Somers family either owned the land, or was renting it and sub-letting to Richard Greenway who was farming Hunters Hall. © 2017 BCH ARCHIVE. All Rights Reserved.